Why do you always have to be so critical? “I am an idealist. I have been since the day I was born. I want everything to be perfect. When it’s not up to my standards as to what I believe to be perfect, I can’t help myself. I have to point it out. Don’t get me going on politics (people would be surprised). Or whether Nazem Kadri’s suspension is fair (it’s not), But auto racing is my life and sometimes the people in charge, or the participants, do some of the dangdest things, at which point I have to ink my quill and let loose. So . . .
Today we will discuss how the two most important – and biggest – open-wheel series in the world are falling all over themselves trying to piss off their fans. First, IndyCar. In the days leading up to the opening race of the season, the one in St. Petersburg, Fla., IndyCar did two things of note (there were a bunch, but two stood out). They announced that other than the races being televised into Canada on the full NBC network, which is on every cable lineup in the country, the remaining races in the IndyCar series would only be available on Pay TV or Pay Computer. In other words, to watch the races, you would have to pay a fee to Rogers Sportsnet over and above your cable or Internet bill. This caught every IndyCar fan in the country off-guard. For the first time in the sport’s history, if you wanted to watch an IndyCar race, you would have to shell out. I don’t know how many people did. Not many, I would guess. I didn’t and I don’t plan to, because I pay an enormous amount of money to that company already. There are other ways to find out how the races went. I also suspect that, by now, most people have figured out a way to get around the blackout anyway. 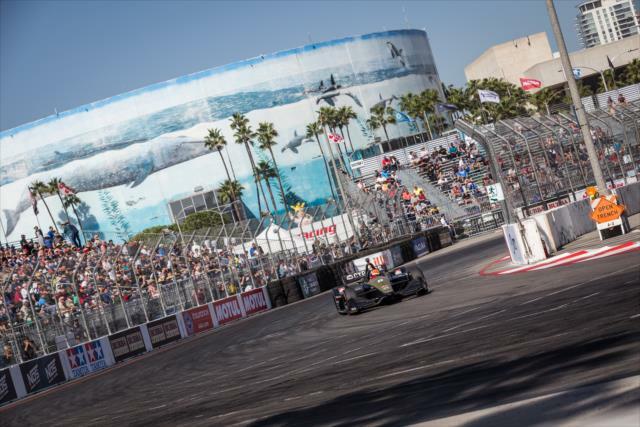 And after the Long Beach race (won Sunday by Alexander Rossi, with Josef Newgarden second and Scott Dixon third; click here for a story with all the details, the next four or five races will be on NBC. After that, we can all go back to being pissed off again. So folks in Mexico and those other Latin American countries got to watch the IndyCar races in St. Pete, Austin, Tex., and Birmingham, Ala., free of charge, simply by clicking on an icon on the IndyCar.com website. “On the day that NTT IndyCar Series sensation Patricio O’Ward impressed again by posting the fifth best lap of practice for the Acura Grand Prix of Long Beach, online streaming video service Claro was named by IndyCar to take over livestreams of series races in O’Ward’s native Mexico and 11 other Latin American nations beginning with Sunday’s race. In Mexico, it will cost 779 pesos (about US$47) to subscribe to the service. I would imagine that the reaction south of the U.S.-Mexico border was roughly the same as it was in Canada. 1) people are very unhappy. 2) they didn’t – and won’t – do it. So, in a matter of weeks, IndyCar has managed to anger large numbers of its followers in the Western Hemisphere. Oh, before we leave IndyCar for this week, I just have to say that I am already tired of the Fernando-Alonso-back-to-Indy story. For the people of Indianapolis and Indiana, I’m glad that he, once again, is on hand to boost the gate at the Speedway and to give you something to talk about all May. The rest of us are not so lucky. Him racing at Indy does nothing for us living in Toronto or for the gate at the Honda Indy Toronto. In fact, this never-ending focus on this guy might go a long way to hurting the gate here because, without him, we have to make do with second-raters like James Hinchcliffe, Marco Andretti, Will Power, Colton Herta and the rest of the 22 or 23 who make up the current non-Indy 500 IndyCar field. Asked the question, Fernando, of course, didn’t pour cold water on the suggestion that it would be really swell if he ran the entire circuit. He repeated what he said last year, which is that he would not close the door on the possibility but that he’s kinda busy at the moment with Le Mans and other endurance racing. And I will repeat what I wrote last year: in the words of Jimmie Rodgers, the folksinger who once had a No. 1 hit with little ditty called “Oh, Oh, I’m Falling In Love Again,” when it comes to Alonso driving in all of IndyCar’s races: “Never in a hundred, never in a thousand, never in a million years.” In short, it will never happen. Alonso will be back in Formula One next year, anyway. When he eventually retires from the sport, he will do it as a Formula One driver. Oh, and continuing on the theme, the new Mr. McLaren, Zack Brown, showed up in Long Beach to meet the media and give TV interviews about how McLaren is seriously considering a two-car team to enter the series. These press conferences and TV interviews are designed to do one thing and one thing only: launch a search for sponsorship. Press conferences are usually reserved for people to announce something, like McLaren will enter a team in the championship next season, not that they are thinking about it. We already know they are thinking about it. They said that last year. Is this Groundhog Day? Now to Formula One and how it’s giving the finger to its fan base. You may have noticed that Hass F1 didn’t send either of its cars out in Q3 Saturday to run for the pole for the race, which was won Sunday by (guess who?) Lewis Hamilton, with Valtteri Bottas second and Sebastian Vettel third. (For a full report, with order of finish, please click here. Actually, Kevin Magnussen did get on the track but he couldn’t get around to take the green before the checkers flew so couldn’t get a lap in. Romain Grosjean didn’t even try. But I am sure this is what happened: Haas looked at the competition – Mercedes and Ferrari and Red Bull and Renault – and decided that they didn’t have a prayer of increasing their starting positions beyond where they already were (they went off ninth and tenth in Shanghai Sunday). Why use up tires or risk a crash, I’m sure the thinking went. We’ll just stay in the garage, thank you. F1 is now owned by Liberty Media, which is in the entertainment business. They are the biggest concert promoters in the world. What Haas did was bush league. You do that sort of thing in club racing, not Formula One. If I was in charge, Grosjean and Magnussen would have started 19th and 20th Sunday. You don’t do that when you are putting on a show for thousands of people who have paid serious money to watch you perform. What if everybody who made it through to Q3 thought like that. You’re Red Bull’s Christian Horner and you say, “Boys, we don’t have it this weekend to challenge for the first two rows, so we’re just going to sit.” And say Ferrari – Vettel and Leclerc – are way ahead of the two Mercedes drivers and Toto Wolff says, “We’re not catching those guys today so go wave to the fans, Lewis, and then you and Valtteri go have a shower.” And Q3 winds up with two cars actually running. Liberty had better lay down the law or they’ll be asking for more of this, which will spell nothing but trouble. It should be simple – you make it to Q3, you make an effort or back of the line you go. For all the excitement about F1 this season – much of it generated, I think, by that Netflix series that has resulted in an increase in TV ratings in the United States (more than 800,000 are tuning in to F1 telecasts these days) – there isn’t a lot of real competition. Only five cars finished on the lead lap Sunday, with the sixth-place finisher, Daniel Ricciardo, one lap down. The sixteenth-place finisher was two laps down. And two cars didn’t finish the race, period. In comparison, the IndyCar Series race at Long Beach saw 11 cars finish on the lead lap with the 12th car, driven by Patricio O’Ward, one lap down. The 19th-placed car, raced by Tony Kanaan was two laps down and the 22nd car, driven by Jack Harvey, was three behind. (You have to feel sorry for Harvey as he wound up in a flower bed after a collision on the opening lap. He could only sit there as the field passed him at least once before he was pulled out and sent back on course.) There was one DNF: Colton Herta, Pretty good, in comparison. What makes it even better is that there have been four races to date and there have been four winners driving for four different teams – Newgarden/Penske; Herta/Harding-Steinbrenner; Sato/Rahal-Letterman-Lanigan; Rossi/Andretti. 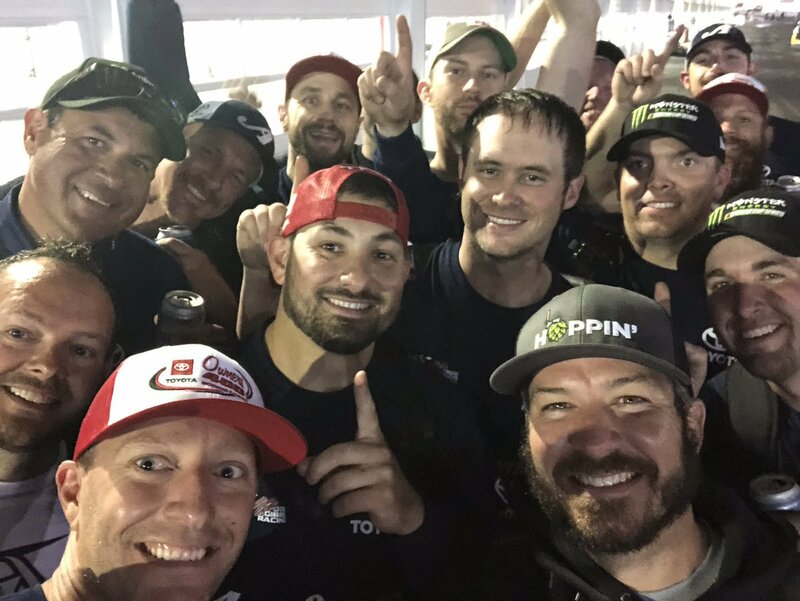 Martin Truex Jr. won the Monster Energy NASCAR Cup race in Richmond, VA., Saturday night. It was his (and team manager/crew chief Canadian Cole Pearn’s) first victory since Furniture Row Racing went out of business and they had to team up with Joe Gibbs Racing. Joey Logano was second and Clint Bowyer finished third. For a complete story, plus results, please click here. Meantime, Cole Custer won the Xfinity Series race at Richmond Friday night, with Austin Cindric second and Justin Algaier third. Custer, you will remember, went after John Hunter Nemechek following the controversial finish to a NASCAR trucks race at Canadian Tire Motorsport Park several Labour Day weekends ago. JHN saw him coming and ducked, or Custer would have taken his head off with a high tackle. Felipe Albuquerque and Joao Barbosa drove a Cadillac DPi to victory Saturday afternoon in the IMSA Weathertech SportsCar Championship BUBBA Burger Sports Car Grand Prix of Long Beach (say that fast, five times). Ricky Taylor and Helio Castroneves were second in an Acura DPi and Juan Pablo Montoya and Dane Cameron were third in another Acura. Earl Bamber and Laurens Vanthoor won the GT Le Mans race in a Porsche 911 RSR. Jan Magnussen and Antonia Garcia were second and Tommy Milner and Oliver Gavin were third, all in Corvettes. Jarrett Andretti, son of John (who’s battling cancer again), will race an Indy Lights car entered by his uncle Michael’s team in the Freedom 100 race two days before this year’s Indianapolis 500. Like his dad, Jarrett selected the “old way” of making it to Indy by ignoring the Road to Indy road-racing ladder and battling his way up the ranks in oval midgets and sprint cars. He was Rookie of the Year at my Oswego Speedway, where he spent a season driving the supermodifieds. Talking about Michael Andretti, when Alexander Rossi won the LBGP, it marked Michael’s 200th victory as an IndyCar team owner. I had a short discussion the other night with a dear friend of mine about which was the most famous IndyCar race. She suggested the Long Beach GP was on a par with the Indianapolis 500. There is, of course, no comparison. And I thought I’d taught her everything . . . . .
A little closer to home, Matt Sheppard won the inaugural Super DIRTcar Series Thunder in the Thousand Islands 100 on Saturday night at Can-Am Speedway in Lafargeville, N.Y., just over the Hill Island border crossing east of Kingston. It’s been 10 years since the big-block modifieds raced at Can-Am and the winner that time was – ta-dah! – Matt Sheppard. Eli Tomac aboard a Kawasaki won the Monster Energy AMA Supercross round at Mile High Stadium in Denver Saturday night. Just under 60,000 spectators attended. Man, that motor sport can attract the fans. Tomac is now only 18 points behind series leader Cooper Webb, who was second Saturday. In Moto GP competition at the Circuit of the Americas near Austin, Tex., Alex Rins secured Suzuki’s first MotoGP win since the 2016 British GP after edging out Valentino Rossi, who was aboard a Yamaha.“King of COTA” Marc Marquez crashed out of the lead on his Honda. Okay, I don’t like team orders. I believe auto racing should be that – racing. You can’t have a race if someone decides who’s going to win. But if team orders are allowed, so be it. And if you’re a member of a team that employs team orders, you have to do what the team says. The most egregious example was not, as many would believe, the dance that Michael Schumacher and Reubens Marichello did at Ferrari years ago but in the 1990s when David Coulthard and Mika Hakkinen were driving for McLaren and Coulthard, who was leading the Australian GP by a mile, had to literally pull over to the side of the road and slow down so that Hakkinen could, first, catch him and, then, pass him. I bring this up because Charles Leclerc obviously hasn’t gotten the memo. He’s the new kid on the block and when push comes to shove, he has to let Vettel go past. His time will come; he just has to be patient and not complain or else they will really lean on him. In drag-racing action at this weekend’s 32nd annual Mopar Express Lane NHRA SpringNationals presented by Pennzoil in Houston, Tex., Brittany Force won in Top Fuel and Robert Hight was tops in Funny Car. Both drivers race for John Force Racing. 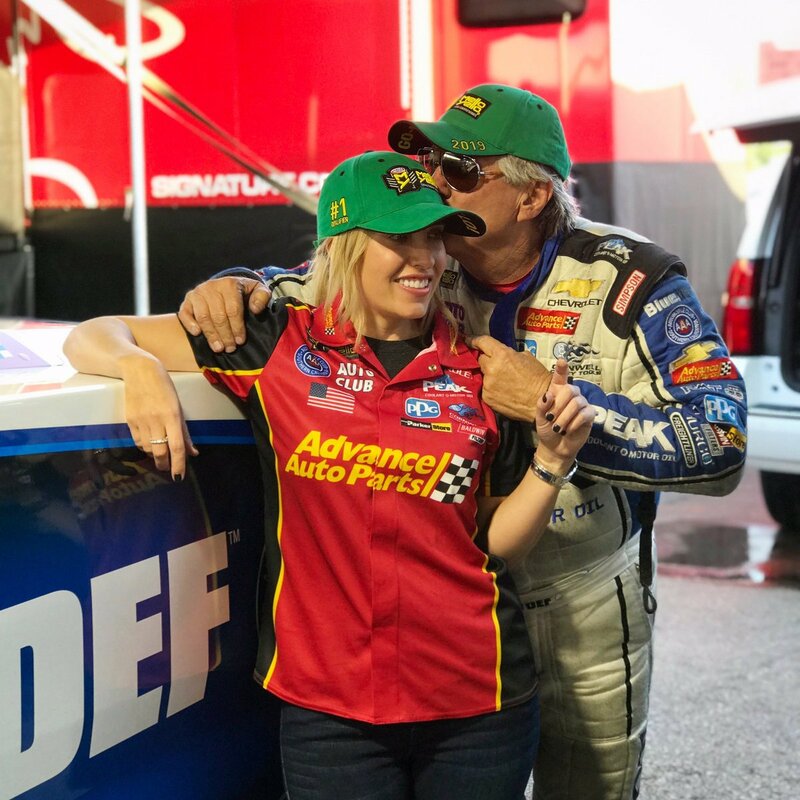 In other 2019 Mello Yello Drag Racing Series action at Houston, Brian Hough was first in Top Alcohol Funny Car competition, Megan Meyer won the Top Alcohol Dragster class and Pete Peery won the Super Stock title. Holy alliteration, Batman! Where did they dig up those last two names? If they hadn’t been on the NHRA website, I’d have thought someone was pulling our legs. . . .